Add links to those blogs on yours, and leave a message for your nominees on their blogs. 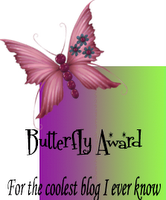 I have put the logo on my blog, also add the link to Priya who awarded me..
Now I am passing this award to 10 other blogs..
Hetal of Isha's Kitchen had passed me Perfect Blend of Friendship Award. Thanks a lot Hetal.I will cherish your friendship for ever. Congrats on you award and that veg roll looking yum..
hey..congrates on ur awards..i have seen my name..thanks dear for passing..hugs to u..
hey, congrates on ur awards. Congrats on the award and thankyou for passing it tto me. thanks for the awaats to you too..
Congrats on ur award :) Thanks to share with me Sireecha! Hey Siri, congrats and thank you dear for passing this onto me. There is some problem with google products here at Muscat, was not able to log into blogger for a long time.